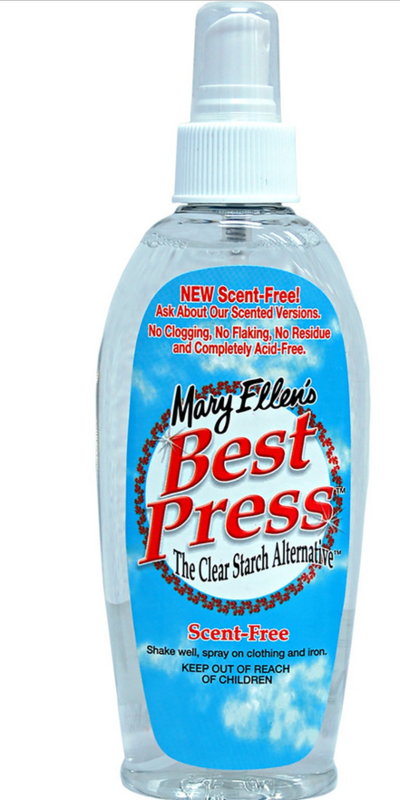 Formulated for fragrant sensitive individuals, it’sthe same amazing product as the other Best Press™ Spray Starches, but zero odor. It's in a non-aerosol spray bottle, so it's environmentally friendly and you can see how much is left. There's no flaking, clogging, or white residue on dark fabrics. A special stain shield protects fabrics, and the product helps resist wrinkles. Best of all, it's more effective than any starch you've ever used.